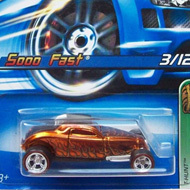 4/12 from the 2006 Treasure Hunt series. 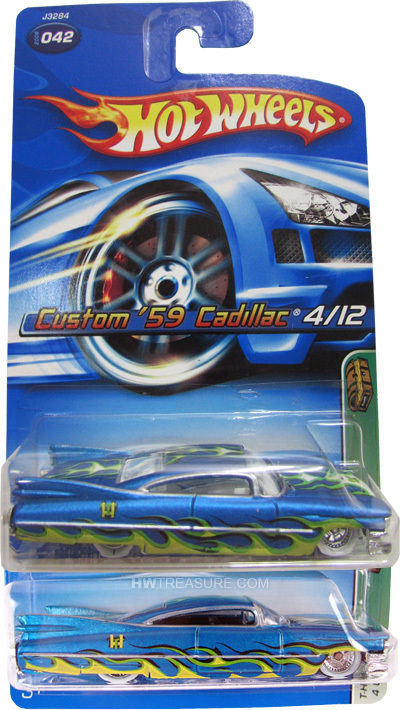 The blue Cadillac is detailed with yellow, green, and black flames on the sides and top. 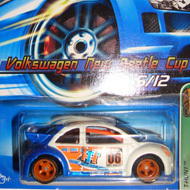 It has clear windows, Real Rider Bling wheels, white wall tires, and a chrome Malaysia base. There are two versions of the ’59 Caddy. One has a white interior and the much rarer variation has a black interior.